One of our earlier posts had covered as to how foreign tour visa procedures were less cumbersome in selective parts of the world – especially in the countries which offered Visa-on-Arrival (VOA) facility. In such countries which offer VOA facility, you don’t have to visit their embassies in India. You simply have to take your valid passport, buy a ticket, fly there and the immigration desk at airport will issue you a visa on arrival. No complex questions will be asked except for the basic ones like your purpose of the visit to the country. VOA is a social pass that allows visitors to be in the country for a period between 14 days and three months. But, if such enabling gestures are misused by the visitors from a particular nation, the destination country could as well take a decision to permanently revoke the VOA facility offered to visitors from that country. In latest, Malaysia has imposed one such revocation term on the visitors from India, China, Bhutan, Nepal, Bangladesh, Myanmar, Taiwan and Comoros. And, guess what – Indians have been short-listed as toppers in the list of unauthorized immigrants among the Asian countries. Multi-ethnic Malaysia, which is home to 1.7 million ethnic Indians, has permanently scrapped the VOA facility offered to visitors from India after 40,000 Indian tourists went ‘missing’ from the country. The Cabinet Committee on Foreign Workers and Illegal Immigrants of Malaysia felt the need to revoke the VOA facility – which was introduced in 2006 in conjunction with Visit Malaysia Year 2007 – offered to Indians, as they abused it and stayed illegally after the expiry of their tourist visas. Moreover, Chennai was identified as the embarkation point – even as visitors from other metro cities were considered safer. 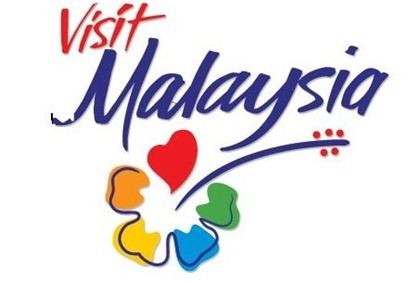 In a related development, Malaysia is planning to introduce a pilot project as an alternative to the VOA facility, in the form of Visa Facilitation System (VFS) for tourists from India and Chennai, to be implemented by commissioning travel agencies with branches in select countries. Malaysia relies heavily on foreign workers especially from Indonesia, India, Bangladesh and Nepal. But, many such foreigners, who enter the country under short-term VOA, fail to go back to their home country after the expiry of their permit and instead work in Malaysia illegally. It needs to be mentioned over here that even in the past (during April 2008), Malaysia had withdrawn VOA facility to Indians to overcome the problem of illegal immigrants. Traveling in India : The positive side of the story. Hai Friends, What I would like to mention here is that many of the Asian Countries are treated the tourism as an Industry. Minting the money too. I have been travelling a lot across our (Asia) Continent very frequently. But I did not face any problem on getting the Visa on arrival or On apply. Most of the people are in the wrong notion that Malaysia is very strict on VOA. But it is not, I intracted with the Malaysian Immigarion officials in person during my recenct visit Nov. 2011, said the they will issue a Transit Visa for 120 Hrs on a sigle entry, enrouting to you destination or vise versa. But you must be a genuine tousrist or a businesss person. Kindly Note.. this is my personal experience. It is shocking to notice about the VOA policy cancillation for Indians. Of course some responsibility is there but on the other hand the all who are living abroad and were given VOA, will also suffer. Not all are going for labour but much are going for tourism who loves the Malaysia. I love the Mt. Kina Balu and visited many times. But onward I have to think if Malaysian Visa policy has changed. It will be really difficult and expensive to go all the way to the Embassy for Visa. Other wise whenever we have holidays and untentatively planed to visit Malaysia and had always fun and enjoy. If Malaysian Govt. will continue the VOA then am sure many capable people will enjoy their holidays in Malaysia. Agreed with your view. The tourism lot will get effected and woul, unnecessarily, lead to the Visa process getting cumbersome. But, if the figures indicated by the Malasian authorities – at 40,000 Indians – is anything to go by, I think our country deserves this rap on the fingers. Would we allow such immigration irregularities on our land? There was a joke fitting the subject. In some country abroad, a barber was doing community service. Once a farmer visited the barber. After the hair cut, when the barber refused to take money for it, the farmer thanked him and left. The next day when the barber came to his shop, he found a basket of vegitables and a thank you note. The same happened with the milkman, butcher and so on (the barber was finding cheese, meat in bags with thank you notes) until this Indian guy came. As the barber politely refused, the Indian guy thanked him profusely and left. No marks for guessing what the barber found the next day in the morning. He found 10 Indians standing in queue for a haircut. I am not saying the white guy (barber) is great, not Indians poor. Its the attitude question. I can imagine what kind of profile the malaysian security agencies have made of Indians with the attitude of those 40,000 missing low lifes. @Liju Philip… If the statement made by the Malaysian authorities is anything to go by, it is a bad on the part of few Indians going there and staying illegally beyond their permit. Unfortunately, their wrong act is bringing abuse to all Indians, in general. Also, there could be many more such numbers that would have gone unmentioned in other countries offering VOA facilities. Am not surprised. We are known to abuse every privilege given to us anyway. Look around as to how we treat our cities and villages as garbage bins.